After the sunset at Bahia Honda State Park on the Sunday of my vacation, I traveled slightly north to the foot of Seven-Mile Bridge in the Florida Keys. I picked a pullover area, hauled out my equipment and waited for something I could see from most anywhere in Florida: a flyover by the International Space Station. 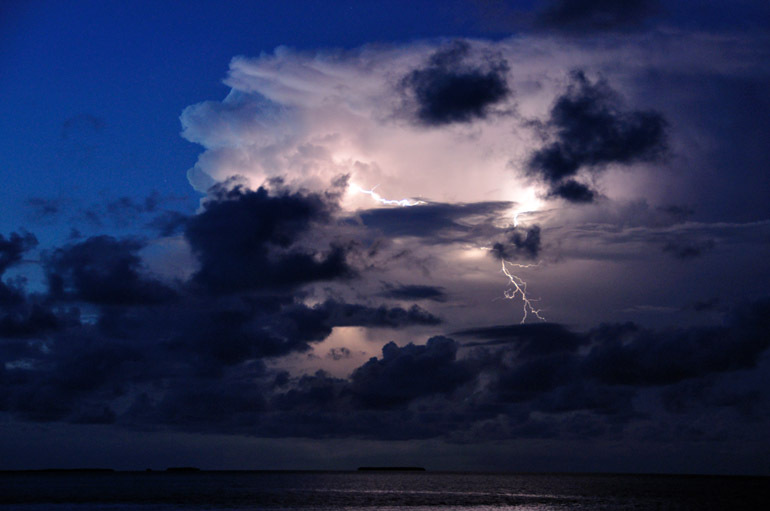 In the meantime, I focused my lens on a thunderstorm over the Gulf of Mexico. There wasn't much lightning, but the storms in the Keys amazed me nonetheless: All of the ones I saw could easily be contrasted in a photo with clear sky. 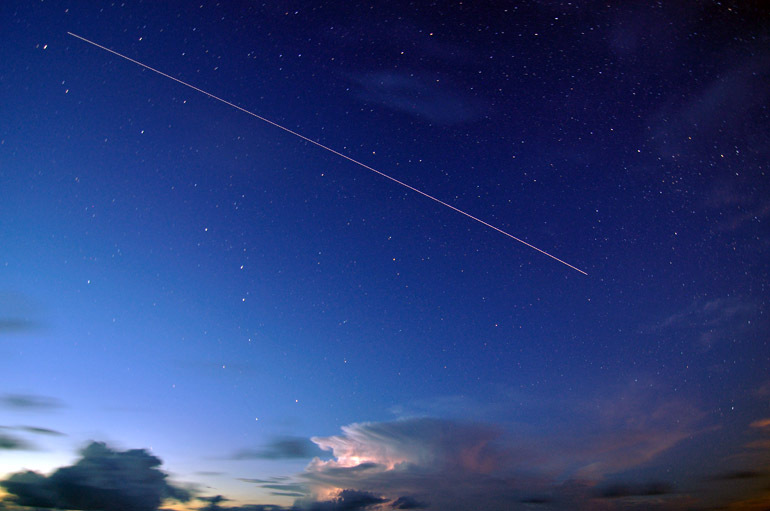 The space station's 8:23 p.m. appearance lasted about five minutes and started in the southwest, a view that is pictured above. 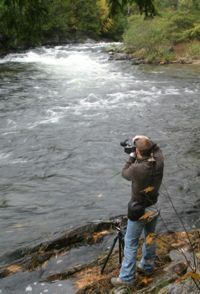 The streak in this 33-second time lapse is not lengthy, mainly because I was worried about overexposing the image at dusk. I kept the shutter open for a lengthier period and caught the space station streaking above the thunderstorm over the Gulf of Mexico. 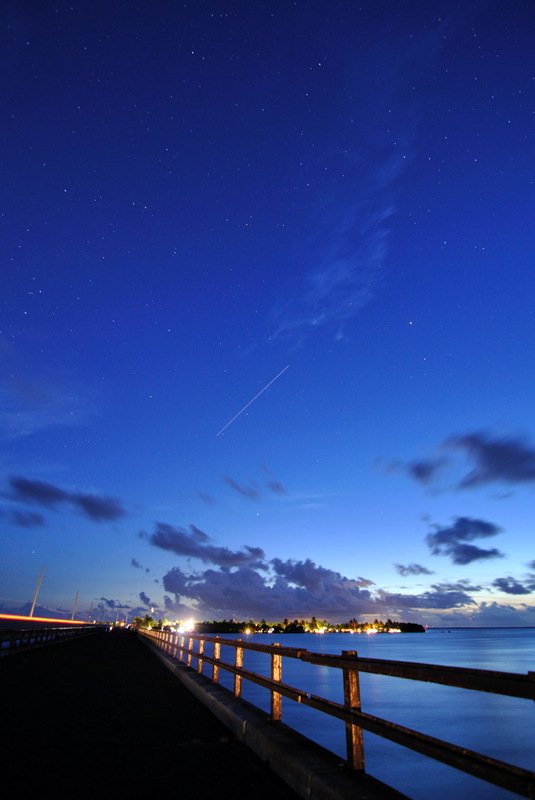 This space station appearance, because of the clear sky in the Keys, was best I had ever seen. 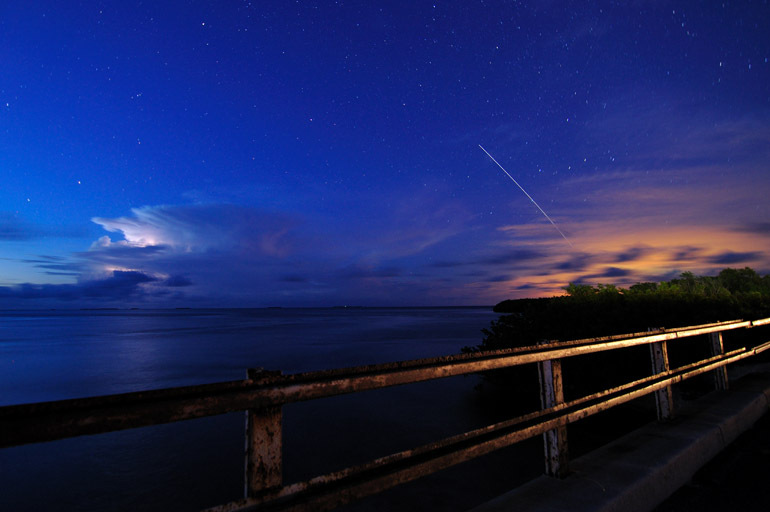 From the space station's apex of 54 degrees, it began to descend in the northeastern sky, into the lights of Marathon on the other side of Seven-Mile Bridge. For these three shots, I was standing on a pedestrian bridge alongside U.S. 1, and many of the spans throughout the Keys are lined with these rusty guardrails. Also in this shot, you can see the pronounced anvil shape of the thunderstorm over the Gulf of Mexico. When I turned around and faced the east, over the Atlantic Ocean, the Milky Way stood out. It was the first time since I was in Maine last year that I had seen the galaxy in the night sky. 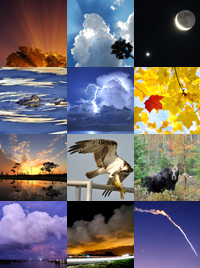 The lights from Central Florida's cities drown out such a sight, depriving residents of the chance to witness the magnificence of our part of the universe. With the shutter open for about two and a half minutes, the stars are quite streaky in this image, in which yet another thunderstorm is visible. 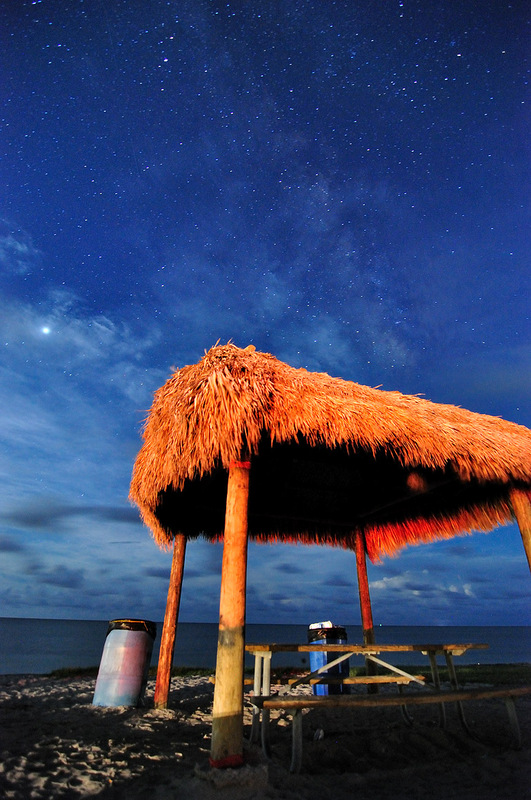 And what's the Florida Keys without a tiki hut? 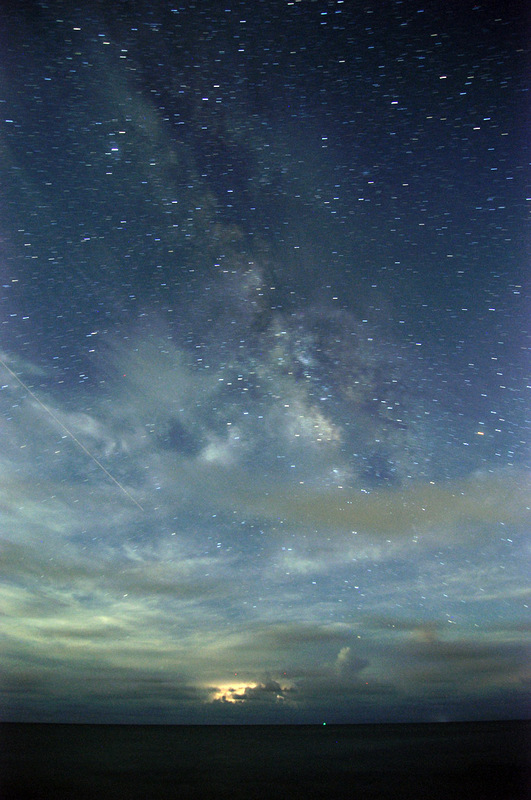 Again with the Milky Way in the sky, this one was located at a small oceanside park in Little Duck Key. The park, of course, was officially closed at night, and it was dark for most of my time there photographing the stars. But a crew of fishermen hauling a boat had stopped for a break, and the lights from their truck lit the hut. This was taken with a 1000 ISO setting, allowing the shutter to be open for only 47 seconds, limiting the streakiness of the stars.